Product prices and availability are accurate as of 2019-04-17 21:10:54 UTC and are subject to change. Any price and availability information displayed on http://www.amazon.com/ at the time of purchase will apply to the purchase of this product. 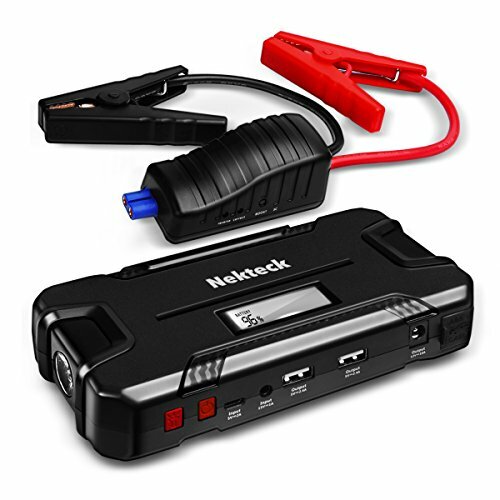 The 12v port only works for car application. It won't work for cameras or other small electronic devices. 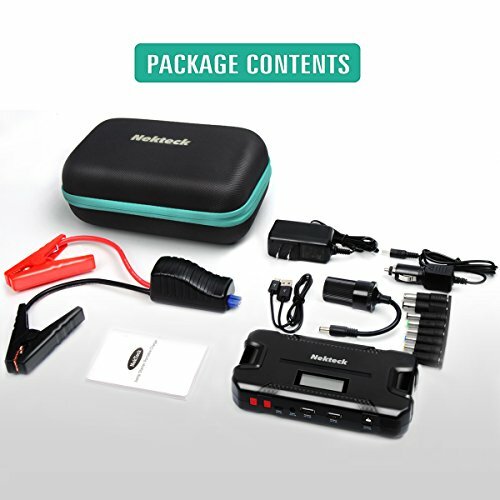 Compact powerhouse that fits in your back pocket, will jump start your car, Also charges smartphones, tablets, speakers, and more. 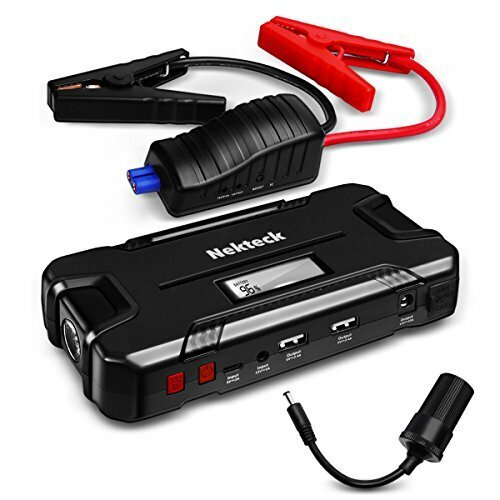 500-amps of power jump starts your 5L gas or 3.0L diesel vehicle engine up to 12 times, and to get you back on the road fast. 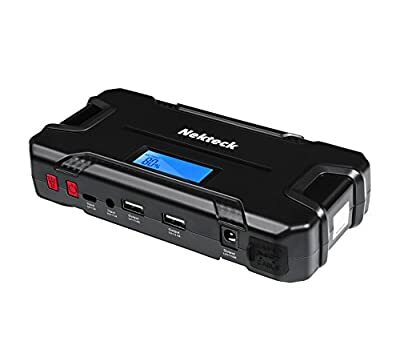 12000mAh high battery capacity for cellphone and tablet (include Micro-USB Cable for any USB supported devices Built-in Super bright LED flashlight in case you are stranded at night. Safety protection for overcharge, overvoltage, overcurrent, and short-circuit.